Being a customer focused organization, we are engaged in offering a qualitative range of Lamp Tripods. Offered spectrum of nautical spot lamps & tripods is fabricated by our expert professionals using premium quality raw material and components that are sourced from the authorized vendors of the market. 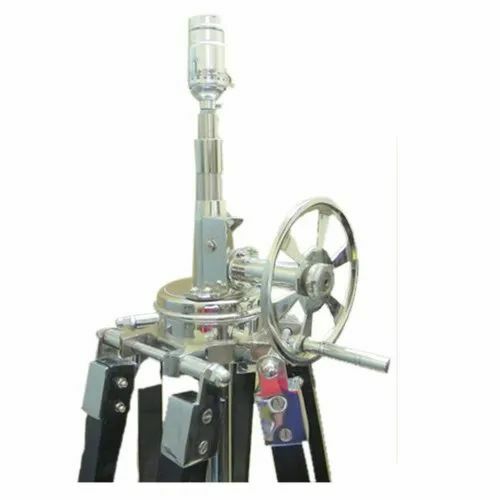 We are offering these nautical spot lamps & tripods in various sizes, models and other specifications to meet the specific requirements of the clients. Packaging Details Each item is well packed in a poly pouch/ then in bubble sheet/ foam/ thermocol box and finally in a corrugated box.